Join a small group of 6-8 food lovers for a writing retreat in a magnificent 500-year old villa in Northern Italy. Venue: Villa San Bonifacio This private 4-day retreat for a small group offers a chance to immerse yourself in food writing techniques and the power of storytelling in a serene, spectacular location. Inspired by beautiful lodgings and views of the Valpolicella wine region, you will be ready to expand your knowledge and approach to food writing. A small group means lots of immersive time and personal attention from your instructors. You will write about three culinary excursions to local artisans and get our feedback. We will review food writing techniques, practice writing with our senses, learn about the language of wine, and discuss food writing trends. There will also be time for two private consultations. At the end of this immersion into Italian food and culture, you will leave the workshop with three drafts and advice on how to edit and submit them. Because you will generate new writing, you simply begin where you are. You don’t need to submit work in advance. You will work in a nurturing environment that engages and challenges you, whether you’re a published writer or someone who has never written much at all but wants to do so. This is a fun, inspiring time designed to ignite your passion for the stories you want to tell. – Tour and tasting at an innovative salumeria, followed by lunch. The garden of the villa where you can take stimulating walks. The city of Verona is a 1.5-hour drive (150 kilometers) from Milan and Venice airports. You can also fly into Verona airport or arrive in the city center by train. Just a 15-minute drive outside Verona is Valpolicella, the wine region famous for Amarone, a strong red wine and Recioto, both made from dried local grapes. Our retreat takes place at a 17th century Palladian villa in San Pietro in Cariano. The three-storey building was designed in the style of Palladio, whose genius has inspired generations of architects. We will gather to study, write and eat in its high-ceilinged common rooms, take walks in the huge Italian garden, and swim in the property’s above-ground pool. The villa’s formal dining room, where we will relax over breakfast each day. On one of the evenings you will be free to discover Verona’s architecture, which blends styles from Roman, Middle Ages and the Renaissance periods. Demet, who lives in the historical center of Verona, will make recommendations to the best restaurants. Before class begins, participants will receive handouts on writing examples by the world’s foremost food writers. During the writing sessions, you will write and receive feedback from the instructors. We will discuss writing technique, pitching feature stories, and writing cookbooks and blogs. Each day we will meet in the dining room, common rooms, or garden. Students will write about the culinary excursions that take place each day, and receive feedback and ideas on where to get them published. Each participant will have a 30-minute one-on-one consultation with each instructor about writing goals or career strategies. Each bedroom is beautifully appointed and spacious, with high ceilings. – Two double rooms with shared ensuite bathroom (there are two): €2100 per person for a single use. These adjoined rooms work just as well for one participant or two. If you choose to invite a second participant to stay in the second room, each of your fees are reduced to €1800 per person. – If you would like to bring a non-participating partner or friend, he or she can join us for all meals and outings. The cost is €1150. Book early to get the room you want! What’s included: Accommodations for 4 nights, all workshop sessions, 4 breakfasts, 3 dinners including 2 at excellent Italian restaurants, all lunches, visits to 2 artisan food vendors, 1 cooking class, and a winery visit with wine tasting. What’s not included: One dinner. Airfare or transportation to or from the villa, or travel insurance. How to pay: Payment is due in full at the time of your reservation. Cancellations will be fully refunded until June 8, 2017 (90 days before the workshop). If you need to cancel after that, you will receive a 50% refund if it is made before August 9, 2017 (30 days before the workshop). There will be no refunds from August 9, 2017 until the start of the workshop on September 6, 2017. All registrants will receive an email with payment instructions. For questions and to sign up, email Demet at demetguzey@gmail.com. Dianne Jacob is the author of the multiple award winning book Will Write for Food: The Complete Guide to Writing Cookbooks, Blogs, Memoir, Recipes, and More (Da Capo/Lifelong Books). She is also the co-author of two cookbooks with Chef Craig Priebe: The United States of Pizza (Rizzoli, 2015) and Grilled Pizzas & Piadinas (DK Publishing, 2008; and the writer of The Good Pantry (Oxmoor House, 2015), with recipes from Cooking Light. As a freelance writer, she has written for Lucky Peach, The Washington Post, and Gastronomica. Her 2016 essay in Lucky Peach, The Meaning of Mangoes, was the grand prize winner of the M.F.K. Fisher Awards for Excellence in Culinary Writing from Les Dames Escoffier International. It also won Best Essay from the Association of Food Journalists, and was included in Best Food Writing 2016. A former journalist and publishing company editor-in-chief, Dianne is a full-time writing coach, author, and freelance editor. Her well-known blog Will Write for Food is aimed at writers and covers trends, issues, and techniques. Dianne has spoken and taught at events and workshops around the world for more than a decade, including in London, Dubai, Vancouver, Turkey, France and Australia. Demet Güzey, Ph.D., is a writer and lecturer of food and culture. 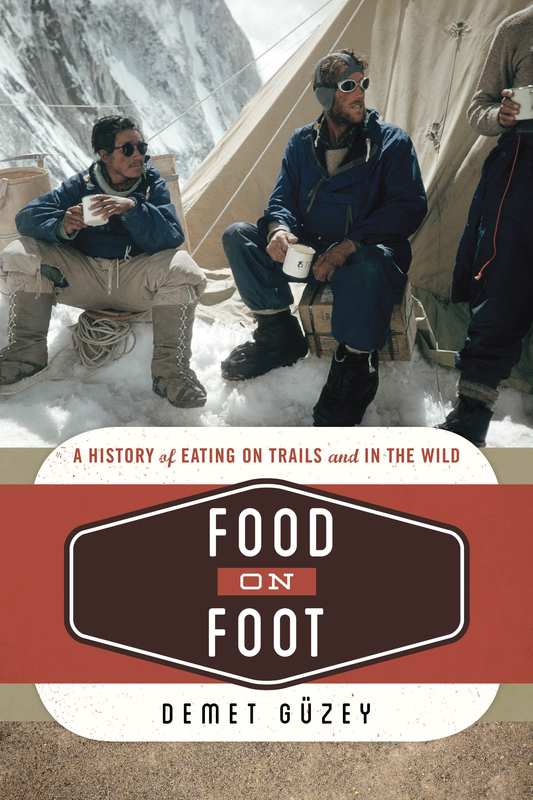 She is the author of Food on Foot: A History of Eating on Trails and in the Wild (Rowman & Litttlefield). Her writing is published in printed journals and online, such as Gastronomica and The Smart Set. Demet lectures on food writing at the Master of Gastronomy program of Le Cordon Bleu in Paris, and teaches Food and Culture to American university students at The University Studies Abroad Consortium USAC Verona. A native of Istanbul, Demet lives in Verona with her Italian husband and speaks Italian (and wine language) fluently. She has lived in the US, Netherlands, France, loves to discover a culture through its stomach and to share it with others at culinary events she organises (https://demetguzey.com/events). 3:00 Check into the villa. Demet and Dianne will be there to greet you and show you to your room. 5:00 – 7:00 Welcome aperitivo of prosecco with snacks, in the villa’s garden. Students will introduce themselves. The instructors will review the workshop activities and its goals. 7:30 – 9:00 Dinner at Locanda Dal Nane. Bordering a gently-terraced vineyard and situated in a rustic building overlooking a small garden, the restaurant featuring typical Veronese dishes such as risotto with the most prestigious local dry red wine Amarone, bigoli pasta with a duck ragu, and beef cheeks stewed in local sweet ripasso wine and served with polenta. 7:30 – 8:30 Breakfast at the villa. Our breakfast each day will feature local breads, cheeses, butter, meats and jams. 8:30 – 9:30 Food writing technique with Dianne. It is possible to learn to make these tender nests of tortellis! Of course we will then eat them too, with a Valpolicella wine to accompany it. 10:00 – 2:00 Tortellini cooking class with chef Ada of Enoteca della Valpolicella, one of the best restaurants of the region, offering local dishes with slow food philosophy. Students will take notes and/or photograph as research for later writing. After the workshop will have lunch with Ada’s signature dishes such as ricotta with apple mostarda, duck breast served with honey and Recioto sauce and our hand-made tortelli. 2:30 – 4:00 Break to wander the garden, nap, swim or check email. 4:00 – 5:30 Class: Write about our experience, with readings. Dianne will host and offer feedback. 6:00 – 7:00 The Language of Wine, a session with Demet about how to taste and describe wine. 7:30 – 9:30 A light dinner at the villa, featuring selected wines paired with local Sopressa salumi, Monte Veronese mountain cheese, and chicory salad. For dessert, we’ll have gelato from one of the best ice cream shops nearby. Pistachio is Demet’s favorite, but there will also be melon, fig and tiramisu. 11:00 – 2: 30 “Now who would join me in a glass of Valpolicella?” wrote Hemingway in Across the River and into the Trees. We’ll take a literary visit to the historical family vineyard of Quintarelli, whose wine has been the favorite of the great writer. We will then have a lunch outside with the view of the vineyards. Students will take notes and/or photograph as research for later writing. 3:00 – 4:30: Break to wander the garden, nap, swim or check email. 4:30 – 5:30 Writing session based on winery visit, with readings. Demet will host and offer feedback. 5:30 – 7:00 Private consultations. Free evening out to explore the romantic city of Verona at your own pace. Demet will provide restaurant recommendations. 11:00 – 12:00 Private consultations. 12:30 – 3:00 Visit to a salumeria to learn about its culatello aged in Amarone wines, including a lunch with cured meats, salad and fruits. Students will take notes and/or photograph as research for later writing. 3:30 – 4:30 Break to swim, wander the garden, nap or check email. 4:30 – 6:00 Writing workshop based on our outing, with readings. Dianne will host. 6:00 – 7:30 Private consultations. 8:00 – 11:00 Dinner at Castrum Relais e Ristorante, a genuine kitchen in an old castle with its spectacular views over Valpolicella to sample a mix of Italian cuisine, such as river trout marinated with citrus, lovage and Cantabrian Sea anchovies, dumplings from South Tirol, and Black Angus beef roasted in a wood oven. 9:00 – 10:00 Workshop feedback and final networking. Group photo! For questions and to sign up, email Demet at demetguzey@gmail.com.